Looking for a new puppy and aren't sure what breed is best for you? Do you want easy training information to help train your dog to be the perfect pooch? 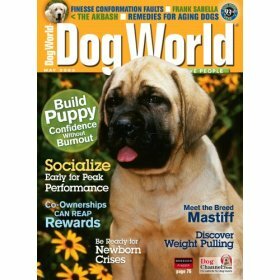 We have a variety of books and magazines available to help you have the best experience with your dog. Learn how to teach your dog basic obedience skills or even neat tricks like rolling over or shaking hands. 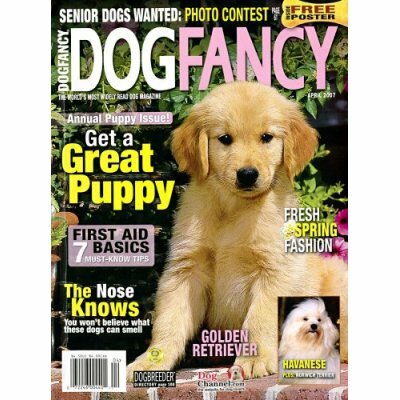 Dog Fancy and Dog World Magazine also have the latest breed information, dog show results and good breeding practices. 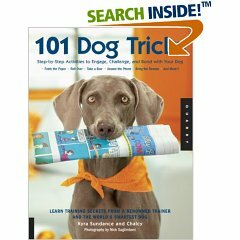 101 Dog Tricks is the largest trick book on the market and the only one presenting full-color photos of each trick and its training steps. The step-by-step approach, difficulty rating, and prerequisites, allow readers to start training immediately. Tips, and trouble-shooting boxes cover common problems, while "build-on" ideas suggest more complicated tricks which build on each new skill. No special tools (such as clickers) or knowledge of specific training methods are required. It's every dog lover's privilege that Kyra and Chalcy took time from their performing schedule to share their secrets in 101 Dog Tricks. 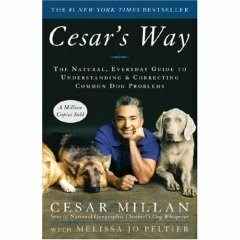 The appealing package photograph demonstrates how Cesar's extraordinarily successful dog training methods can produce calm and obedient creatures who can peacefully coexist with other dogs and humans. The trainer's commitment to his message is especially effective, making this a captivating listening experience as he delivers guidance on bringing out the very best in one's dog(s). A good part of the attraction is the author's own powerful energy and clear message that it is absolutely necessary for the human to be consistently and clearly in charge. His firm, no-nonsense words and passionate presentation are invaluable in comprehending some human behavior, too--including one's own. A well-trained dog is the result of education – actually, more yours than your dog’s. You need to know what makes a dog a dog: how he thinks, reacts, grows, and expresses himself; what his needs are; and most important, why he does what he does. When you understand your dog, you will achieve a mutually rewarding relationship. Dogs aren't homogeneous. Each one is unique, and in their differences lie the challenge. Everything you need to know for the recreational and high-performance canine athlete and working dog. Coverage includes articles on breeding, showing and training; winning tips on agility and obedience trials; updates on healthcare and behavior concerns; grooming for the show ring; plus the annual Rare Breeds issue. 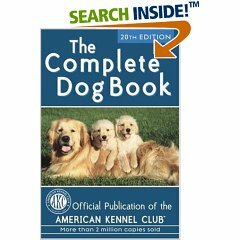 The breeds currently recognized for registration by the American Kennel Club are presented in this section in the order in which they appear in dog show catalogs. Training, tricks, and tips for your best friend! As every dog owner knows, it takes a lot of time and patience to train a dog—and even more to get him to do tricks and show off in front of friends. 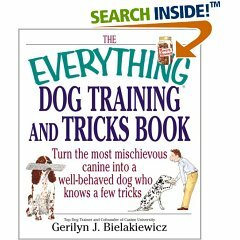 In The Everything® Dog Training and Tricks Book, Canine University cofounder Gerilyn Bielakiewicz explains how to solve virtually every behavioral issue—from aggressiveness to digging—and guides you through teaching all kinds of feats, whether your dog is in "kindergarten" or has graduated to "circus dog." 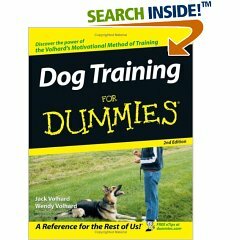 The book that pioneered a uniquely effective dog training method–back in print at last. 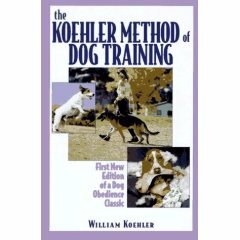 First published in 1962, The Koehler Method of Dog Training is one of the most influential dog training books of all time. Now, Howell Book House is pleased to reissue this book for a new generation of trainers and dog lovers. Featuring a new cover design and new introduction, the book shows how to use both positive and negative reinforcement to form a strong, joyful bond between dog and handler. The Koehler method remains unmatched in its reliability, especially when applied to difficult dogs and intractable behavior problems. 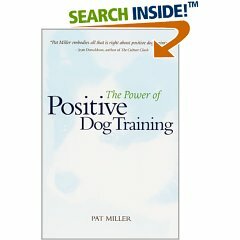 The Power of Positive Dog Training is the best book yet on explaining how and why purely positive training works. Inside, you'll find easy to read discussion of the philosophy of positive training followed by training tips and exercises. This book is geared toward the dog owner who wants to develop a relationship with their dog based on friendship and positive reinforcement, not fear and punishment. 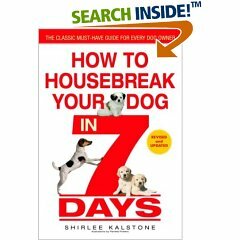 You get 30 chapters with instructive illustrations, including an easy-to-follow, step-by-step, six-week basic training program (with diary) for any dog.